The more we get to know about the history of the Earth, the more incredible it becomes. Our planet formed about 4.5 billion years ago, and for the first billion years it was without life. Then organic molecules began to form simple cells. It’s tempting to think that from those first cells the business of evolution took hold and created the plants and animals we see today, but this simplified version overlooks some of the most catastrophic developments that happened along the way. Five mass extinction events have wiped out nearly every living thing on this planet. So the next time you’re feeling less than brave, remind yourself that you are descended from some seriously tough survivors. You’re already one of nature’s great success stories. 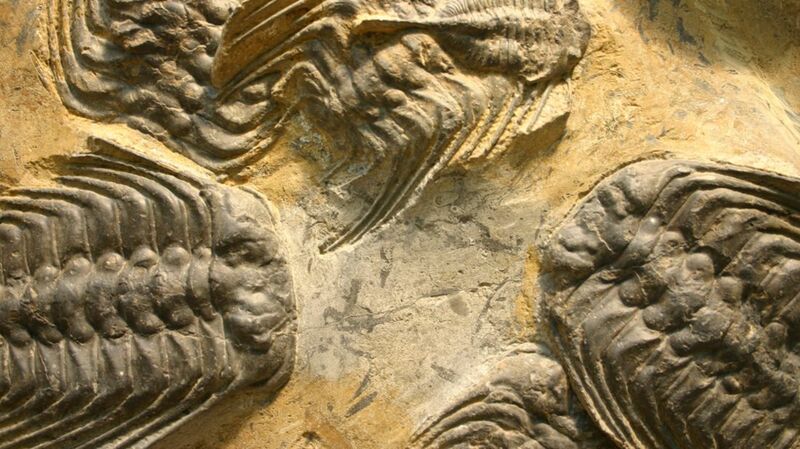 Most life forms were still living in the oceans at the time of the first mass extinction. There are many theories as to how that happened: global cooling that brought on an ice age, volcanic gases, or maybe changes in ocean chemistry. Whatever the cause, about 85 percent of species were wiped out. The oceans recovered and teemed with life once more, and that diversity had begun to spread onto land at the time of the second mass extinction, when 79–87 percent of all species died due to environmental change. A series of several extinction events spread over approximately 40 million years wiped out most of the life on earth. The cause is unclear, but some scientists have theorized that the sudden increase in plant life could have triggered a period of anoxia (lack of oxygen). Other suggestions include volcanic eruptions on a huge scale, or another ice age. Although plants may have triggered the destruction, it was the marine life that was hardest hit. Armored fish died out completely. Reef ecosystems vanished from the seas and were not seen again for the next 100 million years. But there were some who benefited: Into these gaps in the oceans’ ecosystems came some of nature’s hardiest survivors—the sharks. This is also known as the Great Dying, and with good reason: 70 percent of land species and 90 percent of marine species disappeared, including half of all marine families. Plant life also suffered; only a few forests remained. It’s the only event in which insects also died out en masse. The devastation to life was so thorough, this mass extinction event is known as the Great Dying. The culprit was, once again, environmental change. An enormous volcanic event in an already hot, dry climate led to a massive increase in carbon dioxide, and as ice sheets melted, methane escaped into the atmosphere, adding to the problem. These greenhouse gases led to the creation of anoxic conditions in marine habitats once more. After the Great Dying, it took approximately 20 million years for the Earth to recover. Unfortunately, soon after the Earth returned to its previous level of diversity, the next mass extinction came along and nearly wiped out the dinosaurs just as they were getting started. But it was the mammal groups who really suffered this time around, along with large amphibians: 76 to 84 percent of all species died out. The culprit may have once again been volcanic activity. This is the event we all know about. Many experts theorize that a large asteroid hit the Earth and contributed to rapid environmental changes. Sea levels plummeted, volcanic activity threw ash and poisonous gases into the air, and 71 to 81 percent of all species died. All non-avian dinosaurs perished, leaving the way clear for the small mammals that managed to survive. And here we are today, having evolved from those small mammals. Are we in the grip of the sixth mass extinction of life on our planet? It's unclear how many species we're losing annually—one widely cited estimate is 140,000 species per year [PDF]—but it’s difficult to be sure of the size of the problem, as less than 3 percent of species on the planet are thought to have been formally assessed for risk. The growth of humanity may be causing a loss of biodiversity, but the good news is that we have developed to the point where we might be able to do something about our own impact on the planet. We’re already aware of the problem—and there might even still be time to fix it.